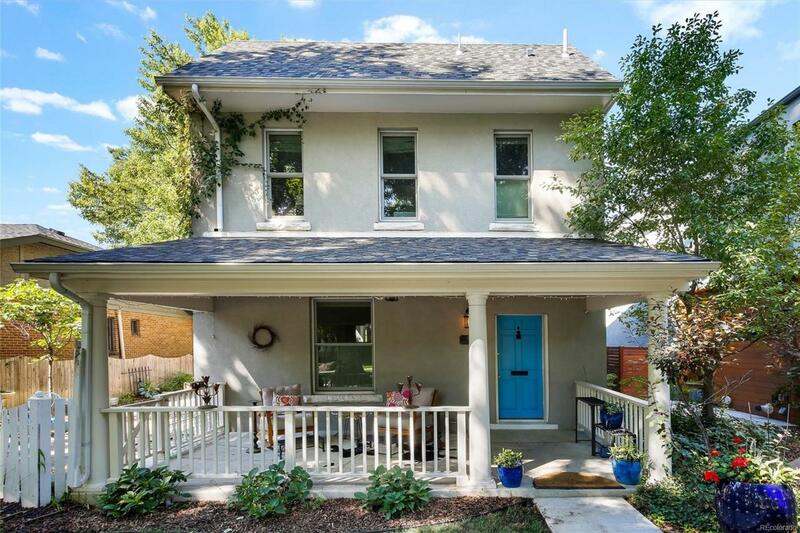 Vintage meets modern in this classic Wash Park farm house on double lot completely updated and expanded in 2014. Main level centers around covered patio leading to park like yard. Prepare meals in your modern open kitchen w/slab marble counters, SS appliances, built in French door refrigerator and huge island. Entertain in formal dining room with exposed brick wall. Cozy up to the marble covered fireplace or watch TV in your stylish living room. Study/4th bed, mudroom, bath and attached garage complete the main level. The gleaming hardwood floors run through most the home and lead to the upper level which boasts a luxury master suite w/5 pc bath and spacious walk-in closet, 2 additional bedrooms, full bathroom, and laundry. Modern conveniences like nothing else in price range. Sit on front porch and enjoy the neighborhood. Wonderfully maintained with most all major systems less than 5 years old. Walk to Bonnie Brae Ice Cream, Old South Gaylord, and Wash Park. Don't miss out!